Last week, Miki and I sat down for dinner with Chris Moore-Backman and Rebecca Sutton, both recently back from a 10-day gathering in Missouri with a group of about 40 people who are dedicating their lives to nonviolent social transformation. 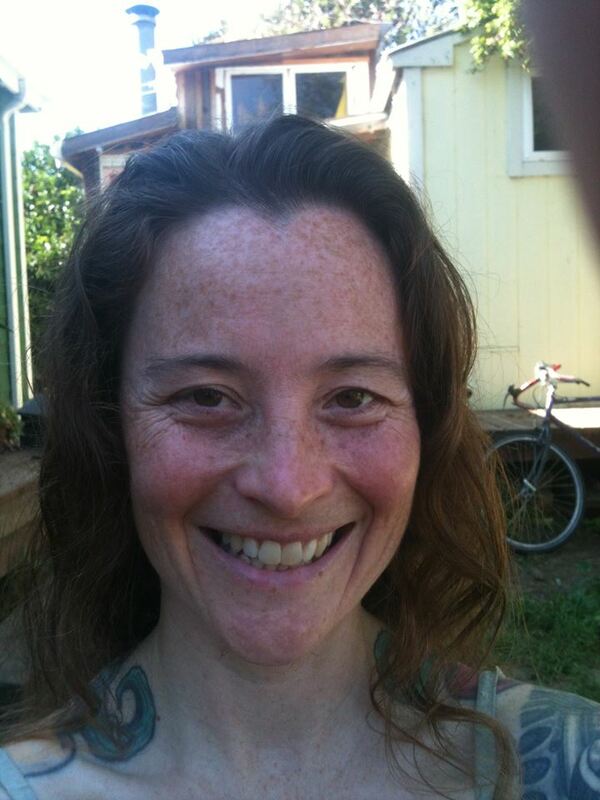 We’d first heard about the gathering the month before, in the midst of recruiting partners for Miki’s new telecourse Working for Transformation without Re-creating the Past (catch the free intro this Friday, June 3). In this interview, the four of us talk about the Great Turning and what’s rising up from the Missouri event. Anna: So, this gathering didn’t ever have a name. Did it have a defining intention? Chris: Yeah. This is a group of people committed to nonviolence – to a comprehensive and holistic approach to nonviolence – who are interested in being part of a nonviolent cohort, or sub-movement, within what many of us see as a coalescing movement of movements. Joanna Macy calls it the Great Turning, the U-turn from industrial growth society to something truly just and life-sustaining. We wanted to start to discern together what contribution we might make. Anna: Can you say more about the holistic approach to nonviolence? How is that distinct from other approaches? 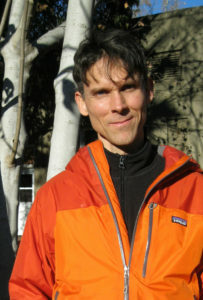 Chris: There have been some excellent studies of nonviolence that take it almost purely as a strategic tool. I’m thinking, for example, of Paul and Mark Engler’s new book This Is An Uprising and Erica Chenoweth’s Why Civil Resistance Works. There’s a nod given to the fact that people like Gandhi and Martin Luther King came at nonviolence from a deeply spiritual foundation, but the argument is that whether that’s true for an individual or not, nonviolent action represents the most strategically powerful option for people who want to bring about social change. Which I agree with entirely – and, to me, what Gandhi and King exemplified is that the spiritual foundation is utterly essential. And in fact, the actual goals for which they were struggling, I believe, are more transformative than the goals folks like the Englers and Chenoweth are looking at. What Gandhi was really aiming at was stepping out of our current paradigm entirely. Moving into a whole new understanding of what it means to be a society, and living from a totally different place. Miki: My sense is that a commitment to the principles of nonviolence actually leads to different strategies. There may be overlap, but there’s a whole new set of strategies that emerge from the dynamic tension that creates. Does that match your experience? Chris: Absolutely. I believe that people who root themselves in the really intense and beautiful inner work of personal transformation and then take that out into the community to do what Gandhi called Constructive Program – trying to build the new society within the shell of the old, at the level of the home, the street, the neighborhood, the village – those folks will definitely come up with different ideas about how we can move things in the political realm as well. They’ll come at it from that other paradigm. And I think we’re mistaken if we think we can turn a Great Turning without that. Anna: Who came to the gathering? What was the atmosphere? Chris: We were at the Possibility Alliance, which is in Northern Missouri, on about 160 acres of largely forested land. We had come from various parts of the country. Various experiments that have been chipping away at this work were represented: the New Community Project in Harrisonburg, Virginia, Christian Peacemaker Teams, Casa de Paz here in Oakland, the Catholic Worker community in St. Louis. There were some young folks there in more of an apprentice role. There was a lot of singing, there was dancing, just being with each other. Of course, the conversations over meals were as rich as the conversations in our sub-groups. It was an amazing group of people. A lot of the time was spent in three breakout groups. One focused on direct action. Another group’s conversation revolved around establishing a national network of Constructive Program Centers. A third group focused on group process and conflict transformation, both for our cohort but also looking at what we could contribute to the larger movement in those areas. I spent most of my time with the direct action group. Every morning we gathered inside a camouflage-green army tent – we called it the Peace Army Tent. It was a profound experience. I only knew maybe half of the people, but you knew coming into that tent that most if not everyone there had gotten to a point of readiness to put the Great Turning at the very center of their lives and to prepare themselves to give whatever it takes for the cause. To sit in a circle in silence, and to know that that’s who you were with – the feeling of affinity and relief was powerful. Miki: Rebecca, what group were you in? Rebecca: I made my own group. What really drew me into this was a vision that was shared in advance about peace archetypes – different ways we can participate. One of them is healers, and I felt really drawn to that. There was somebody else who was relating to it in a similar way as a “peace breather,” and some days I sat in meditation and prayer with that person. Each day, I used that time to contemplate and listen for how I could embody the peace healer archetype and step further into service in that way, both in the gathering and beyond. And about halfway through, someone came to me and said, “I think there’s somebody who could use your help.” I went to her and was with her for a lot of the next four, five days. Chris: It was a vital contribution, not just for that individual, but for the whole group, to see it happening. Miki: What were the challenges for your group, and how did you work through them? Chris: We found ourselves in a healthy tension about priorities and urgency. There were several people with us who are so steeped in the climate science that their sense of urgency is really profound. But others of us have come to climate change by way of other related issues. For myself, it’s actually been racial justice and specifically the issue of mass incarceration. The indivisibility of social justice issues and the climate crisis is where I’m coming from. I don’t see them as separate. The climate crisis is a consequence of the plunder of both the earth and human bodies since way, way, way, back. And so several of us were really pressing the argument that atonement and reparations [for white supremacy] should be on an equal level as taking down the fossil fuel industry, in terms of our own narrative as a nonviolence sub-movement. In one session, an elder who was with us, Laurence Cole, spoke prophetically about the indivisibility of those issues. After he spoke, I sensed a release of the tension. It wasn’t that people’s analysis changed – it was more the experience of the group conscience taking hold. My own experience is from the movement to end mass incarceration. We have over two million mostly black and brown bodies locked in cages right now, for offenses that white people commit at the same rates – think about the impact on communities of color all over the nation. It wasn’t only white folks that were at the gathering, but it was very predominantly white folks. If we don’t repair that and offer some form of truth and reconciliation and restitution, how can we have the audacity to think we can turn a Turning that’s Great? Rebecca: I think what Laurence spoke to was the objectification and exploitation of living beings, whether that’s in the form of people who we’ve decided no longer count as humans, or in the form of trees. 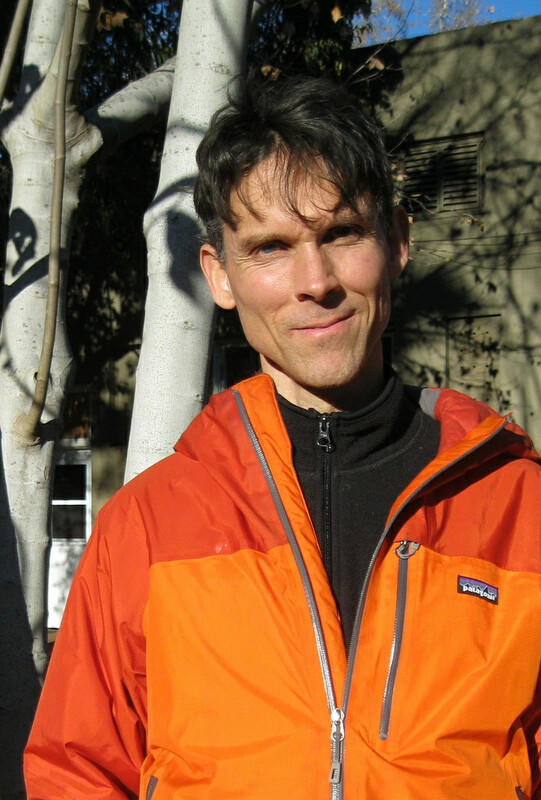 Chris: And there was also a sense of imaginative possibility that, in terms of the urgency, it doesn’t short-change us if we begin to really claim and own the indivisibility of white supremacy and the climate crisis. In fact it might propel the movement. If we’re actually going to turn a Great Turning, at a certain point that’s going to be an all-hands-on-deck kind of situation. And if we don’t repair the wounds – just starting with our national family in the U.S. – there’s no way that we can all be at the table together. Miki: On the most practical level, what came out of this gathering? Anna: And then on the most impractical level. Rebecca: (Laughs) I’ll speak to impractical, so you go first with practical. Rebecca: That idea came from the Peace Army Tent, but there were a surprising number of hands raised by people from the other groups, when they heard this suggestion for the first time. Chris: We got this sense: that’s why we’re here. That’s why we came. Because we’re ready. We don’t know exactly for what, but we’re ready. And now about ten of us are meeting to talk about where we could relocate. Anna: Are there other next steps you agreed on? Chris: We set the dates for a second gathering, which will be the first week of November at the New Community Project in Harrisonburg. Each of the three subgroups is taking its work forward between now and then. For example, we are going to begin meeting with campaign organizers, let them know there’s this group coming together that’s serious about a disciplined, comprehensive approach to nonviolence. Last week, three members of our group went to a training in Boston with the Ayni Institute. So hopefully we can start to get suggestions for where we can plug in. Anna: So how about results at the impractical level? Rebecca: There was an ongoing thread of conversation about the level of consciousness from which we’re operating, and the tendency for human beings to unintentionally re-create the same problem when we stay in the same consciousness. We were continually checking in – what’s the source of what we’re doing right now? A question came up about the utility of planning and the potential consequences of planning. That was really interesting for me to be at a gathering that was largely focused on planning, where each subgroup was given a set of potential action steps and was tasked with deciding on action steps. Yet questioning of the whole idea of planning was also woven in. And I sensed a lot of openness to things shifting and changing as we lived into what would emerge. The direct action team, for example, talked about going to a place where something had happened that they felt called to bear witness to – just go, be present there and see what action emerges. Miki: One thing I’m learning about the movement of self-managing organizations is that plans are in service of purpose. When you stay focused on purpose and discernment, then a plan is a resource, not something that dictates what you’re going to do. And these organizations find, in practice, that they do less and less budgeting and planning and targets and goals. Those are not necessary in the space they’re creating. Rebecca: As an individual, my life has changed so much as I have focused on learning to listen in that way. And learning to do this collectively is part of how I conceive of the Great Turning. Miki: One last question. You talked about a U-turn, and I personally have trouble with the idea of going back. I am much more interested in going forward – not continuing with what is, but integrating the positive accomplishments that are usable and the lessons from the negative stuff. For me, one of the key transformations is to recover our capacity to care for the whole, something that is atrophied from generations of not using it. To care for something larger than yourself isn’t going back, it’s more like going up. I’m wondering if you can relate to this. Miki: So it seems to me the Great Turning is forward and up and sideways. The direct action is forward, the consciousness transformation is up, and the Constructive Program is sideways to a new direction. Chris: “Forward, up, and sideways” – there’s your title for our interview. 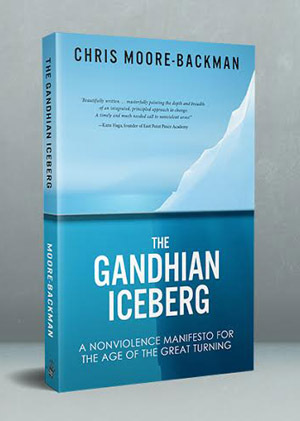 Chris Backman is the author of the forthcoming book The Gandhian Iceberg: A Nonviolence Manifesto for the Age of the Great Turning. Rebecca Sutton is a longtime experimenter in integral nonviolence and a support person/grounding presence on the Fearless Heart team. If this work calls to you, you can connect with the Missouri group by emailing moorebackman [at] gmail.com. I hope you’ll also join Miki’s free preview call on Friday to get a taste of Working for Transformation. May we all support each other. Sign up here for the free intro to Working for Transformation without Recreating the Past on June 3. Or read more about the full course here. Image credits: Great Turning button from peacemonger.org. Chris from www.thepermaculturepodcast.com/2016/episode-1614-gandhian-nonviolence-with-chris-moore-backman/. Rebecca from her Facebook page. This entry was posted in Uncategorized on June 2 / 2016 by Miki Kashtan. Thanks for this insight into the peace healer archetype.